Learning and dataset: How far can I go? “Real-world Solutions to Deliver Interactive Live Workflows with OTT Platforms” is the name of the panel to be celebrated on Friday 13th October at 9:50 am. 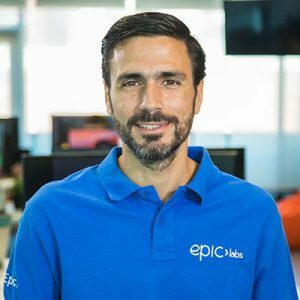 Epic Labs, proud member of the DASH IF, will show how to deliver interactive workflows on OTT platforms in order to explore new revenue models and experiences. 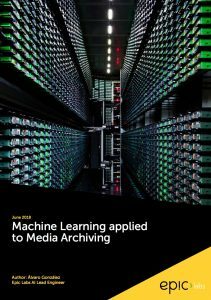 Attendees will learn how to implement different technologies like WebRTC, cloud architectures and other techniques, solving common challenges and enabling a true end-to-end solution with low-latency video and full interactivity capabilities at a massive scale. The panel will be held by Alfonso Peletier, Epic Labs Founder & CEO; Jesús Oliva, Epic Labs Founder & Media Engineering Lead; and Ilker Ürgenc, Media Architect at Akamai. Akamai Edge 2017 will take place at Aria Resort in Las Vegas from 11 to 13 October. This is the tenth edition which has as its theme “Connect to tomorrow”. For nearly a week, different partners, customers and Akamai members will discuss different market trends and the most challenging scenarios in the different markets in which the company has a presence. The Customer: A company that is dedicated to developing different Apps for mobile devices. Since 2006 they have been pioneers in developing different social networking platforms and games for Middle East and Africa. The Background: The product is a social media network based on video, a platform for mobile devices that allows to make a personalized streaming broadcast reaching a large audience of followers and fans. Effectively, it allows to create your own television channel with massive broadcast over the Internet. 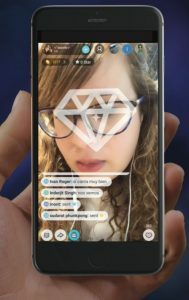 Each user can utilize the App to showcase their talents or different life moments, interacting and speaking in groups with live, low-latency video and audio. This App is consumed also by celebrities to share things they are interested in, provide news and updates and occasionally chat and interact with their fans. 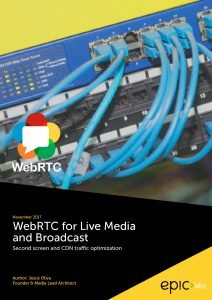 The Challenge: The customer wanted to create an interactive broadcast solution as the cornerstone for a social media network. The experience would provide a great level of interactivity via video and chat, combined with the ability to reach several thousands of users. The key point was that the application had to work with a latency of less than half a second to facilitate communication between the different participants regardless of where they were located in the world. 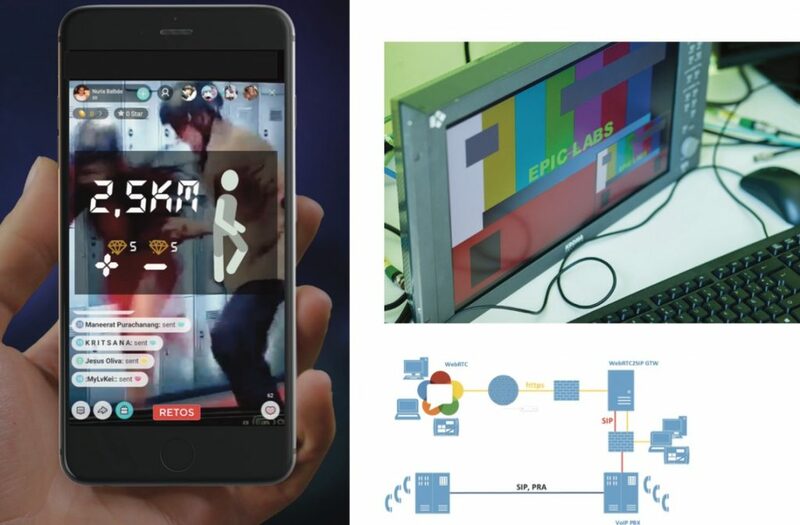 The Solution: Epic Labs proposed a solution based on WebRTC technology, a protocol that allows a connection of video-audio-data between browsers and native apps with a latency less than one second. 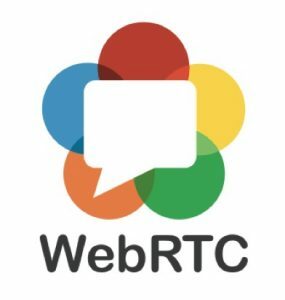 Epic Labs worked on getting the benefits of WebRTC in terms of low latency combined with the use of broadcast-oriented protocols (i.e. DASH and HLS) allowing for cost-effective, high-quality and massive content delivery. The solution allows for video composition, a layout that includes the main signal and windows with the other users that participate in each App channel, to be broadcasted through a CDN. The Results: The project was executed following Epic Agile Methodology for Media. At the end, the customer got exactly the product they needed in the timing they wanted, with a perfect balance between image quality and low latency. Epic Labs also provided the necessary SDKs to integrate the solution in Android and iOS. Now, the App is a complete success in its target region.